By supporting the natural functions of the body, our physicians help our patients experience reduction in pain and dependence on medication as well as enhanced energy and vitality. We meet these goals with an effective combination of contemporary, complimentary, and alternative medicine interventions in a combination appropriate for each individual patient. Our staff are fully licensed physicians and surgeons in the state of Oklahoma who are fluent in osteopathic manipulation, rehabilitation and therapeutic exercise, trigger point therapy, and injection techniques. We also provide inpatient services at several hospitals in the Tulsa area. 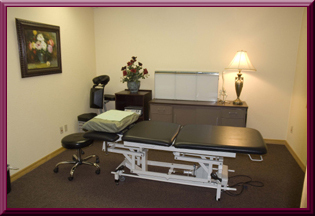 Dr. Heyser-Easterly has been an osteopathic physician for over 25 years. She is board certified in both Family Practice and Neuromuscular Medicine/Osteopathic Manipulative Medicine (NMM/OMM). Dr. Heyser-Easterly is also recognized as a Fellow of the American Academy of Osteopathy (FAAO), the highest honor bestowed by this specialty group. She is also trained in Medical Acupuncture (Helms Institute, UCLA College of Medicine) and board eligible in this field. Dr. Heyser-Easterly has a blended practice taking care of patients in the office as well as previously treating acutely ill patients in the hospital setting. Her practice also focuses on providing nutritional guidance and programs to address obesity related chronic pain by utilizing dietary / life-style modifications and exercise instead of medications whenever possible. Dr. Heyser-Easterly has been involved in teaching OMM and clinical medicine for many years, serving as an adjunct clinical assistant professor of clinical medicine and OMM at Oklahoma State University College of Medicine since the 1990’s. She has also participated in national conferences, teaching osteopathic manipulative techniques to other physicians and students, as well as lecturing on the use of osteopathic manipulative medicine in the acute care (hospital) setting. 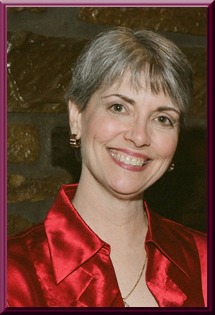 Dr. Heyser-Easterly is dedicated to her profession and has been involved at many levels. Locally she has served as the chairman of Osteopathic Philosophy and Utilization Committee at Oklahoma State University Medical Center (OSUMC) and the vice chairman of the Tulsa District Osteopathic Society. She has also served on the Medical Executive Board of both OSUMC and Select Specialty Hospitals. At the State level Dr. Heyser-Easterly has served on the Bureau on Managed Care and Physician Reimbursement Committee for the Oklahoma Osteopathic Association. On the National level, Dr. Heyser-Easterly has served on the American Academy of Osteopathy (AAO) specialty college certifying board and credentialing committee. She has also been a member of the AAO post doctoral standards committee, participating in review of residency training programs specializing in osteopathic medicine and family practice. She was also the chairman of the AAO Osteopathic Medical Economics Committee, dealing with national physician’s reimbursement issues and acts a adjunct representative to the American Osteopathic Association Board of Specialists.